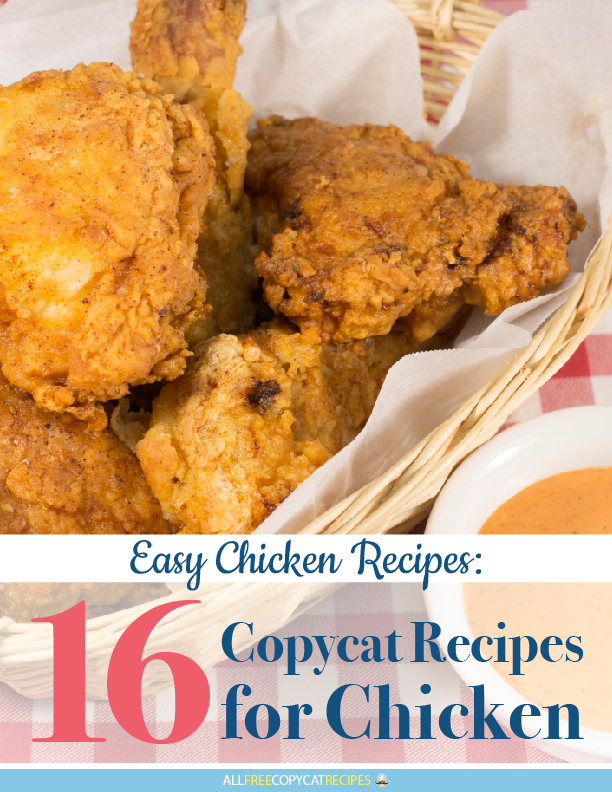 You'll never get bored cooking chicken for dinner when you have this free eCookbook, Easy Chicken Recipes: 16 Copycat Recipes for Chicken. Each recipe is delicious and full of flavor! Chicken is a staple food in for many families. It is easy to prepare, classic, and can be oh, so tasty. If you and your family love chicken as much as we do at AllFreeCopycatRecpes.com, then you won't be able to resist our free eCookbook of chicken recipes. You can download a free copy right here and start cooking some delicious chicken recipes tonight! 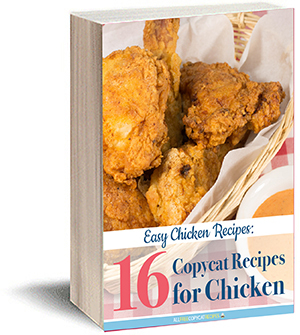 Download your free copy of Easy Chicken Recipes: 16 Copycat Recipes for Chicken today! For many people, chicken recipes are their go-to recipes for dinner entrees. Chicken is easy to prepare, and there are so many ways to make it taste amazing that it is hard to keep track of them all. In this eBook, we have selected some of our favorite chicken recipes from our bloggers and Test Kitchen. You will never get tired of eating chicken when you have so many tasty recipes at your fingertips! Download the Easy Chicken Recipes: 16 Copycat Recipes for Chicken free eCookbook today! Homemade KFC Fried Chicken: The spice mix replicates the delicious flavors of the KFC original recipe, and just like the original KFC chicken recipe, this fried chicken is moist on the inside and perfectly crispy on the outside. 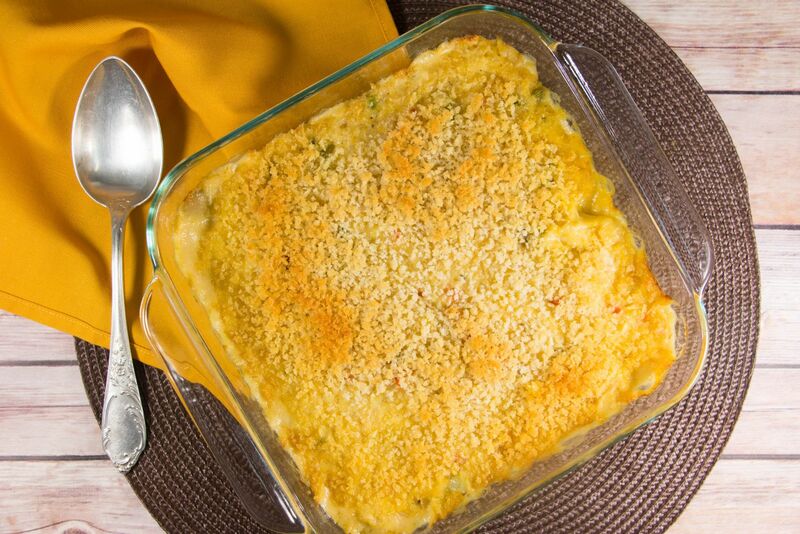 Stouffer's Grandma's Chicken and Rice Bake Copycat: With this Stouffer's Grandma's Chicken and Rice Bake Copycat recipe, you can quickly make a delectable casserole that will please the pickiest of eaters and satisfy the largest of appetites. Try this hearty casserole recipe tonight for a meal that is sure to please your entire family. P.F. Chang's Orange Peeled Chicken Copycat: This P.F. Chang's Orange Peeled Chicken Copycat recipe is the perfect orange chicken recipe. The chicken pieces have a perfectly crispy exterior and are juicy inside. They are covered in unforgettable sweet and tangy sauce. 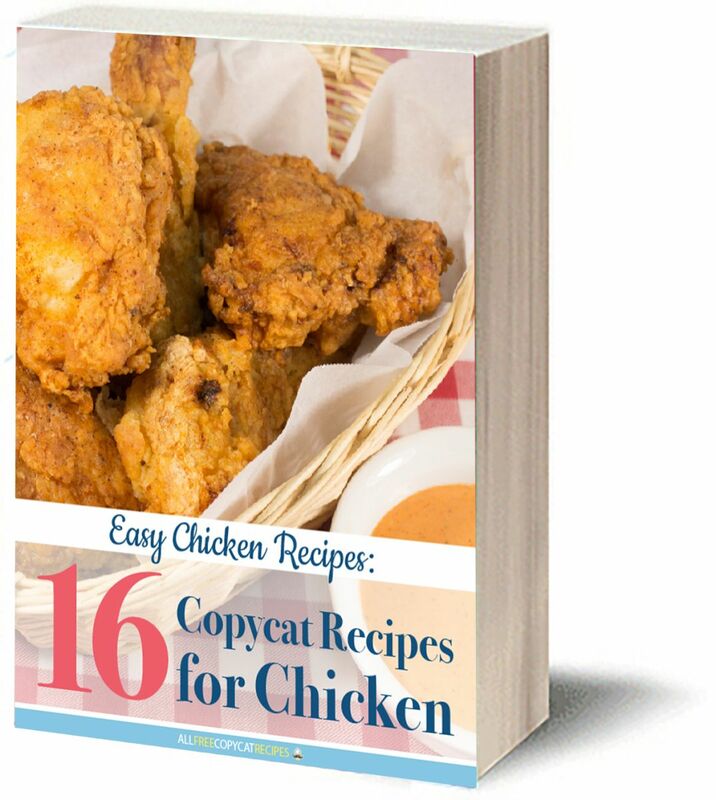 Download your free copy of Easy Chicken Recipes: 16 Copycat Recipes for Chicken Free eCookbook today! What is your favorite way to make chicken? Let us know your favorite family chicken recipe in the comments!